A big help to my flash savings challenge was selling my kids’ outgrown clothing, supplies, and toys on eBay and Craigslist. 1. List in demand items in 7 day auctions. A 7 day auction gives people enough time to see your auction, but don’t be surprised if you don’t get bids until there are less than 48 hours left. 2. List less in demand items in 30 day auctions. I had a few men’s Gymboree holiday sweaters left from my eBay selling days, and I wanted to sell them. However, the market for these items is small. I listed them in a 30 day auction so that the few people who are looking for Daddy Holiday Gymboree sweaters can find them. I had 4 sweaters and have sold 2 so far. There are 7 days left to the 30 day auction. 4. Include a buy it now price. Not many buyers will take advantage of the buy it now price, but some people want to make sure they get the item, so they just prefer to buy it now. Listing both a starting auction price and a buy it now price gives buyers options. 5. List outfits together. 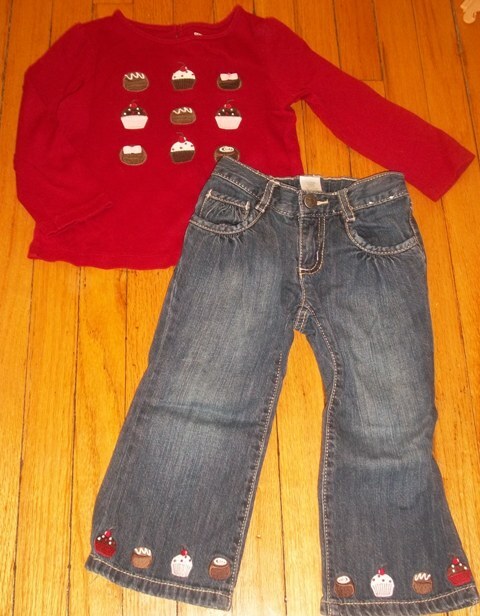 You may want to just put all of the clothes you have, say in size 2T, together in one big auction, but that is rarely the best way to do things. Instead, list each outfit in a separate auction, and in each auction, write that you combine shipping and that you have other auctions for sale in the same size. Some buyers might want to buy more than one outfit from you to save on shipping costs. 7. Give accurate shipping costs. Nothing can kill bidding faster than having shipping prices that are not reasonable. Give accurate shipping prices, and you will attract more bidders. Also, make sure to ship out promptly so you can maintain a strong feedback rating. 8. Include clear pictures. Make sure your pictures are clear and taken in natural light, if possible. The more accurate the pictures, the more bidders you will likely have. 9. Know when to sell. There are definite seasons to eBay selling. Spring clothes sell best in February and March. Summer clothes in April. Late July and August are good for fall and winter clothes. Late November and very early December are good for Christmas/holiday clothes. If you miss these selling windows, chances are you won’t get as much at auction as you would if you sold during these peak demand times. I use Craigslist to sell clothing that isn’t name brand as well as things that are too heavy to ship if I sold them on eBay. 1. Set the price you would like, but be willing to lower it. People on Craigslist are looking for a bargain. For instance, I originally listed my old breast pump for $125, which was too high. How did I know? No one showed interest. The next I relisted it (and make sure to relist every 3 days); I put the price at $100; still no interest. I didn’t start getting interest until I listed it at $75, and even then people wanted to negotiate. I ultimately sold it for $60. 2. Sell clothes in lots. If you have 4 outfits in size 2T, for example, I would sell them all in one lot here. Many people like to shop and be done. 3. Arrange to meet somewhere public. If you get nervous about people coming to your home, feel free to meet somewhere in public. I often meet people in the parking lot of our local McDonald’s. I don’t like strangers come to our house when I am home alone with the kids. There you have it, my selling tips. In the last 3 weeks, I have made over $300 selling on eBay and $120 on Craigslist. Let me know if you have any other questions, and good luck selling! I shared this post at Frugal Fridays. Great tips! We’ve never sold any clothes on Ebay, though we did sell a car using it several years ago and it went great. We’ve sold quite a few things on Craigslist, usually several times a year. We’ve never sold clothes, although it does make sense to sell them in lots. One note about eBay auctions.. In addition to the time of year, pay attention to the time of day that your auctions end. Aim for times that won’t scare away folks in other time zones. Your auctions will end at the same time of day that you post them.. So don’t post too early in the morning or too late at night. Aim for midday or even better.. for early evening. Thanks! That is a great tip. I try to have my auctions end around 8 or 9 p.m. CST. We kept everything, too, until we knew we were done. Thanks for those details. My living room floor has been covered in bags of clothes while I try to figure out what in the world to do with them! I think I might try the Craigslist idea. Every little bit helps, doesn’t it? Yes it does, more than I could imagine before the flash savings challenge. Good luck selling!